Everyone in the office was great. Receptionist was quick and prodfesional. Olga the assistant was great and Dr. Formoliwas excellent. I had to have teeth extracted and they made it as quick and as painless as i believe possible. Everyone in the office was great. Receptionist was quick and prodfesional. Olga the assistant was great and Dr. Formoli was excellent. I had to have teeth extracted and they made itas quick and as painless as i believe possible. I went in for a teeth cleaning and received excellent service. The office was very modern and upscale looking. The staffare friendly and professional. I will be going back for teeth cleaning. I went in for a teeth cleaning and received excellent service. The office was very modern and upscale looking. The staff are friendly and professional. I will be going back forteeth cleaning. Expertise and excellence converge at Arden Park Dental Care, where comprehensive dental care is professional, personal and the ultimate goal. Dr. Shahnaz Formoli and her responsive dental team provide quality cosmetic and family dentistry, orthodontics and implant dentistry from start to finish in a warm and friendly atmosphere, creating an unparalleled patient experience. Dr. Formoli performed her post-graduate work at the University of Loma Linda and University of Pacific and trained with some of the leading names in cosmetic dentistry. Dr. Formoli specializes in Laser Dentistry, Dental Implants, Sedation specialist and Invisalign, as well as all routine Dental needs. She claims many prestigious industry associations, both domestic and abroad. Her practice offers the best in the latest technology and services to her valued patients. 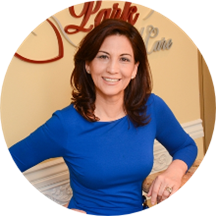 Dr. Formoli is a married mother of three, and despite her commitments, is active and involved in the community she serves, providing its citizens with the best in aesthetic, corrective, preventative and high-tech dentistry. Very nice and professional! I was in extreme pain the first time i visited Doctor Formoli and she took real good care of me in a very timely manner! I arrived on time for my appointment. I had to spend fifteen minutes filling out paperwork which could have been emailed to me prior to the visit. When I sat in the hygienist's chair, she told me we were behind. Sheproceeded to ask me questions about my oral health. When I mentioned my teeth were sometimes sensitive to hot and cold, she tried to sell me medicated toothpaste. When I told her my gums had begun receding, she tried to sell me an electric toothbrush. After cleaning my teeth, she tried to sell me an antibacterial irrigation treatment for my gums. During the cleaning, she found the pockets on my lower right jaw were deeper than normal. She diagnosed me with periodontal infection and recommended a fairly invasive planing and root scraping procedure. I have never had a dental problem in my life, so this was a little alarming. I told her I'd like to wait before agreeing to such a procedure, and she seemed offended. I had my x-rays taken by the dental assistant, who was quite pleasant. Then, I met the doctor who reiterated the severity of my diagnosis, but who was less pushy about treatment. She recommended I see her again in three months for a follow up. All-in-all they did an okay job cleaning my teeth, but I didn't enjoy sitting through several sales pitches and a lecture of irresponsibility. My visit was pleasant. Healthy teeth! Exceptional visit. Very courteous staff. A very user friendly experience. This was my initial visit to her office. She has a very professional office and a very courteous team of assistants. She is a very good practitioner.